Last week, Bangalore-based educational technology giant BYJU announced it was buying Palo Alto-based Osmo for $120 million. This is BYJU’s first acquisition of a US-based company. Following the acquisition, Osmo will continue to operate indepedently. BYJU’S Learning App launched in 2015 and became the leading technology for personalized learning programs for school students in grades 4-12 in India. BYJU has a user base of more than 30 million students and over 2 million annual paid subscriptions. Byju Raveendran launched BYJU in 2011 and the company has grown 100% over the last three years. And BYJU is on target to triple its revenue to $250 million this year. Students spend an average of 64 minutes per day on the platform. Now BYJU has over 3,200 employees and this acquisition will bolster the company’s international plans to explore new benchmarks for tech-enabled personalized learning solutions. According to Crunchbase data, BYJU has raised about $784 million in funding at a valuation of nearly $4 billion. And some of the company’s investors include Naspers Ventures, Canada Pension Plan Investment Board (CPPIB), General Atlantic, Chan-Zuckerberg Initiative, Tencent, Sequoia Capital, Lightspeed Venture Partners, and Times Internet. Founded in 2013 by former Google engineers and parents Pramod Sharma and Jerome Scholler, Osmo is known for creating a new play movement that is focused on learning through entertainment. The core team at Osmo will continue heading up the company following the acquisition. The Osmo platform is used in tens of thousands of elementary schools and is in more than one million households. Plus Osmo has launched 12 learn-and-play titles that span across topics like coding, math, and art such as Super Studio, Coding Awbie, and Masterpiece games. Prior to the acquisition, Osmo raised $32.5 million in funding from Accel Partners, K9 Ventures, Upfront Ventures, Mattel, Houghton Mifflin Harcourt, Collab+Sesame, and Shea Ventures. 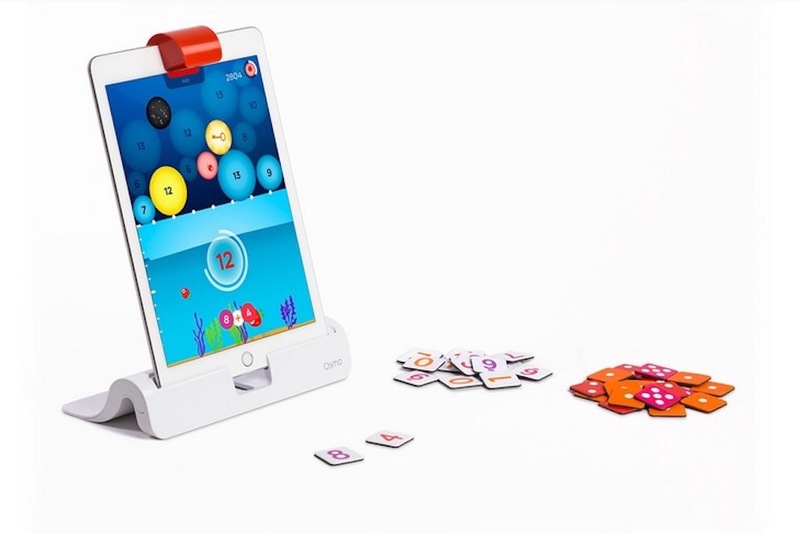 Osmo’s game system enables users to play in the real world and online at the same time. For example, drawings can be brought to life and you can race real Hot Wheels cars on wild digital tracks with Osmo Hot Wheels MindRacers. This is enabled through Osmo’s proprietary Reflective AI technology, which uses augmented reality to “see” physical objects. Raveendran told VentureBeat that BYJU has been looking for options to connect some of their offline learning experiences back to online learning. And Osmo has a format that he has seen proven to be the most powerful offline to online input format. And Raveendran’s five-year-old son has been using Osmo more than ten months. Following the acquisition, Osmo’s hardware ranging at prices between $99 and $189 will likely be reduced to make it more affordable for the masses. Raveendran also said that BYJU will be able to help Osmo scale up to hundreds of learning experiences in the next few months. In the VentureBeat interview, Sharma pointed out that the smartphone as a platform provides access to millions of people. In India, more than 70% of students have access to a smartphone. And parents do not mind giving smartphones to their kids when they know it is being used for learning. Currently, there are more than 270 million students in schools right now in India and that figure is expected to hit 330 million within the next 3 to 4 years so this presents a big opportunity. Sharma explained that the company’s aspiration is become the largest education company in the world. And at this growth rate, BYJU is well on its way to do so.